The Daily Caller has obtained exclusive information from a source close to the investigation into the activities of Pakistani brothers who worked in IT positions for Democratic members of Congress, including Debbie Wasserman-Schultz of Florida, indicating that the FBI has seized smashed computer hard drives from the home of one of the men. Imran Awan, his two brothers, two of their wives, and two friends, all worked for various members of Congress, but routinely missed weekly meetings and were reported to have been transferring data to an off-site server. When Imran learned he was under investigation in February he abruptly moved out of his home in Virginia and listed it for rent on a website catering to members of the military. Imran was desperate to retrieve the property, even showing up at the home numerous times to get it back, but the Marine wouldn't let him in. Despite all of this, Imran has not been fired by Wasserman-Schultz. In fact, she threatened the Capitol Police during a budget hearing with "consequences" if a seized laptop used by Imran Amwan was not returned. Because of what's already been reported about the behavior of the members of the Awan group and his knowledge of military security, the Marine is dismayed that this breach of security by foreign nationals isn't all over the news. 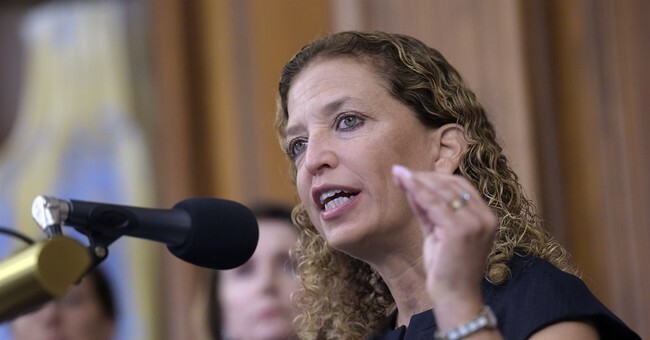 The Capitol Police reported Thursday they have not inspected the laptop seized from Wasserman-Schultz's office due to the invocation of the Constitution’s “Speech and Debate clause."